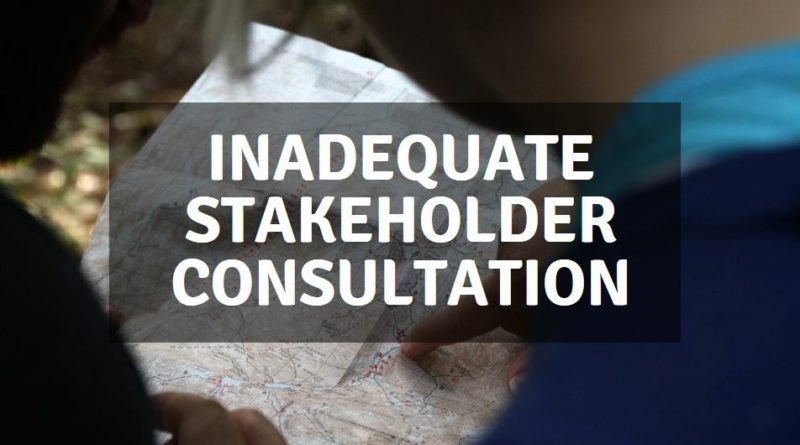 Inadequate stakeholder consultation can have negative effects. 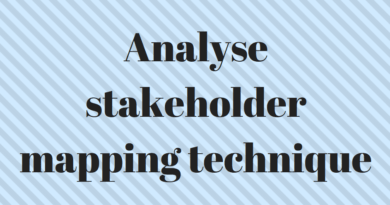 When stakeholders feel they are not being consulted or communicated with adequately, it may result in them losing interest or becoming difficult. This can result in a loss of support, and moral, and in turn a failure for the organisation to achieve goals. Customers, employees and shareholders can damage an organisations reputation if they feel that they’re not being consulted correctly. This is because they become disenfranchised with the way the project or organisation is heading. They may withdraw support or begin to talk badly about people within the organisation or the organisation in its entirety. Once an organisations reputation is tarnished, it can take a lot of time and investment to repair the damage. The failure to get stakeholders on-board and to ‘buy in’ to a project risks anything from a simple lack of enthusiasm for a project, to complete withdrawal of funding in more extreme circumstances. It can also result in a breakdown in trust resulting in a lack of collaboration which in turn may result in delays in a project being completed (or a project never reaching its target at all). It can take many years for an organisation to earn the trust and loyalty of a brand but just a small piece of negative consultation can quickly ruin the relationship. This is why organisations must assess the risks of inadequate stakeholder consultation and ensure that they are meeting the needs and expectations of customers. After all, customers are often the major source of income for any business. There can be changes in customer expectations and it’s vital that business leaders keep their ears to the ground in respect of changing expectation. For example, the recent move towards reducing plastic packaging. Also, the British consumer moving away from brand loyalty in favour of cheaper prices in the supermarket. Negative publicity often has a huge impact on the relationship between stakeholders and organisations. The recent controversy with accusations of sexual exploitation within Oxfam saw the organisation lose over 7,000 donors within days of the accusations being announced (Guardian.com, 2018). There are many other well documented examples. As a result, customers and supporters of brands can be lost and irreparable damage caused. In addition, sponsorship and brand association can also be lost. Such an example includes the cyclist Lance Armstrong who lost sponsorship from Trek, Easton-Bell Sports, 24-Hour Fitness, Nike, Anheuser-Busch, RadioShack, Oakley, Honey Stinger, FRS; an estimated $150 million in revenue. A simple example here is that shareholders want high profits whilst customers want low prices. These sorts of conflicting views need to be managed to ensure a project or organisation remains on track. There may be times when managers (or businesses) must make decisions which some stakeholders may not agree with. For example, the shareholders of my company may prefer to by PPE from the cheapest supplier, however, the employees may know from their experience that the cheaper gloves don’t last as long as the slightly more expensive. Not only that, but if the cheaper gloves are difficult to work in the long-term effect could be reduced working speeds and slow down a projects’ competition time. In another example, it may be that a chain of restaurants decides that its ethical standards state that they will source all their raw coffee from Fairtrade sources. Whilst a decision to purchase the coffee from a cheaper, non-Fairtrade source might reduce the cost of the product it is likely that many customers will be unhappy with the decision and may stop using the chain altogether. 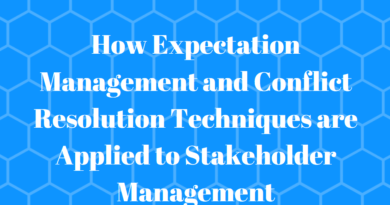 It is therefore important that all stakeholders understand why decisions have been made so that the long-term plan is understood by all; and that managers understand how their decisions can affect to plan.